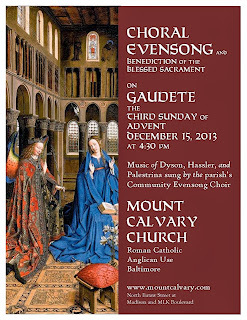 Please join Mount Calvary, Baltimore's Ordinariate parish, for a special Advent Choral Evensong and Benediction at 4:30pm this Sunday, December 15, for one of Mount Calvary's best traditions. 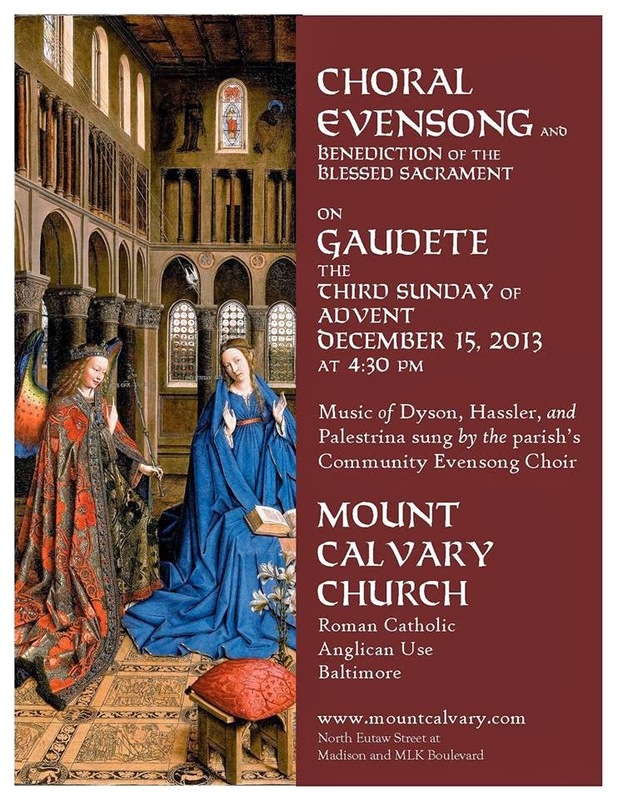 Music will feature Dyson, Hassler and Palestrina. "Rejoice in the Lord always; again I say, rejoice."